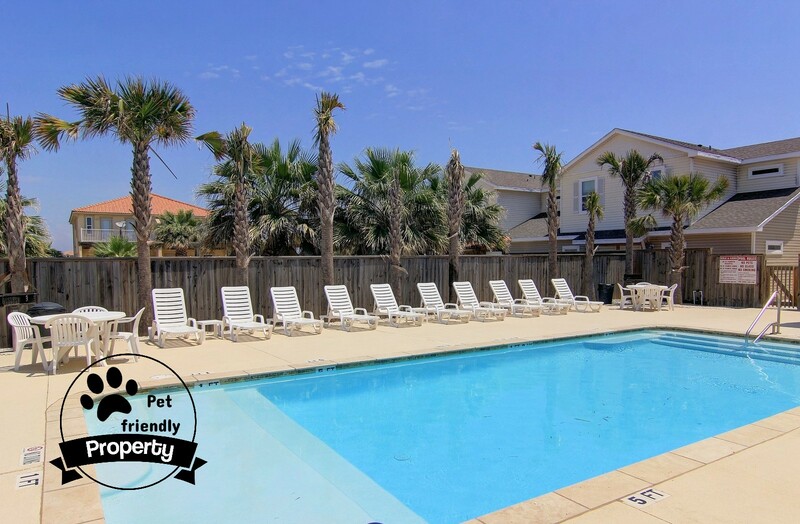 Address: 15006 Beach Walk Loop Location: Corpus Christi Type: Townhouse Area: 1297 Sq.Ft. My stay was great. Rental place was very clean, stocked with everything I needed. The place was great to stay in, and we enjoyed our time at the beach and Pool. You;ll not go wrong staying here. We stayed at Beach Walk 006 for two nights and loved every minute of it! The house was so clean and spacious! Especially loved that this particular unit was pet friendly!! The worst part was having to leave! We loved this place and will definitely stay again! Thanks for staying with us, we look forward to having you back! We enjoyed staying at this townhouse for the weekend. It was walking distance to the beach, dog friendly, and had a very nice pool. The townhouse was clean, well equipped and spacious. Plenty of parking and quiet area. The townhouse was immaculate and big enough for our large family. The beach was two blocks away, walking distance, and the location was peaceful. Will stay there again in the future. We enjoyed this condo. Nice location! Thumbs up!! The townhome was perfect for me, my husband, and our moms who came to visit our daughter at TAMUCC. It was very clean, and the office staff was great! We appreciated the discount in the off peak season. (Coffee filters would be a nice touch.) We will return. 1.5 blocks from public beach access with showers and parking. House is clean, spacious, and roomy. King beds throughout is a huge plus. We had a great time. The house accommodated 9 easily. I recommend bringing hangers because only the master has a dresser. I would also bring some twine to string up a clothes line to dry towels from the beach. The dryer takes 3 or 4 cycles to dry. Besides those two issues, the place was great and I would book again! 1 the worst thing about the whole trip was leaving! My daughter her friend and I hated to leave! My daughter had the best birthday thanks so much! Awesome! Glad everything went well, we look forward to your return! We came down for our daughter's wedding. The townhouse was just the right side for all the staging we had to get done. We loved having a washer and dryer right in our unit. Having it be pet friendly made our stay that much better. Being able to walk to the beach was amazing. We never got a chance to use the pool but who cares when the beach is a 2 min walk away. Over all our experience was amazing. Thank you! Everything we expected. I used their self storage for my boat but the street out front is wide open and would have been fine. This little townhome style rental was nice, clean, updated and exactly what we expected. The house is a short walk to the beach. It has a large living dining area that is great for a large group to relax and hang out. Everything was clean and we had everything we needed. Great place great location. Every room had everything needed and was very comfortable. We loved it and plan on coming back again in the near future. Overall, we had a great vacation. Pricewise you can't find anything better for a 3-bedroom townhouse. The property was clean in the sense of no insects (no cockroaches, no bedbugs, no mosquitoes), no pet smell (although it is pet-friendly) and quite decent overall except for the sofas on the first floor - those are screaming for a replacement. The kitchen is stocked pretty good, but there's no kettle, and that was the dullest set of knives I saw in my life ;) so bring your own if you want them sharp. Don't forget to also bring your own coffee filters and spices. Walkable distance from the beach (or 1 minute drive). Buy a $12 beach parking permit and you can bring your car to the water. A heated pool is cleaned regularly. We would stay at thins place again next time. Thank you for your feedback. We had multiple maintenance and appliance repair men check the dishwasher during your stay and no one found there to be any issue other than it was being over stocked with dishes. We apologize for any confusion on this, hope we see you back again soon. It was stress free with regard to check in and check out. The place was very clean and nice. We stayed for several nights, and really enjoyed this property. It's a 2 minute drive to Whitecap beach (beach can get crowded on the weekends, but it didn't bother us). The property was clean, cool and comfortable. The property management team was very easy to work with and cheerfully answered all of my questions (I had tons). I definitely will stay with them again. The unit was clean and very functional. Large breakfast table and 4 barstools for bar seating. They supplied basic kitchen ware and some paper products to get you started. Has a washer and dryer! The fold-out sofa bed was broken and we had to make do (wasn't very good). A/C doesn't go lower than 70 degrees, so it can get warm in the late afternoon/evening. All bedrooms were good - all had king size beds (VERY FIRM) and tvs. Hose bibbs/hydrants front and back outside. Nice, small back yard space. Bath towels provided. They didn't supply any Kleenex and were short on pillows. Only 2 blocks from the beach! While I enjoyed the property, I was disappointed in that they gave me a rental in which the dishwasher was in disrepair. All the rubber sealants were just resting on the inside rack. If the unit was inspected it would have been noticed. I understand if items quit working while in use, but this was just negligent on part of Padre Escapes. Everything else was great. Good location. We're certainly disappointed to hear that. It sounds like we made a mistake, we will go back in and address it. For future reference, if you'd let us know about this during your stay we would've been happy to address it. Thank you for your feedback, hope we see you back again soon. This was our second stay at this complex. 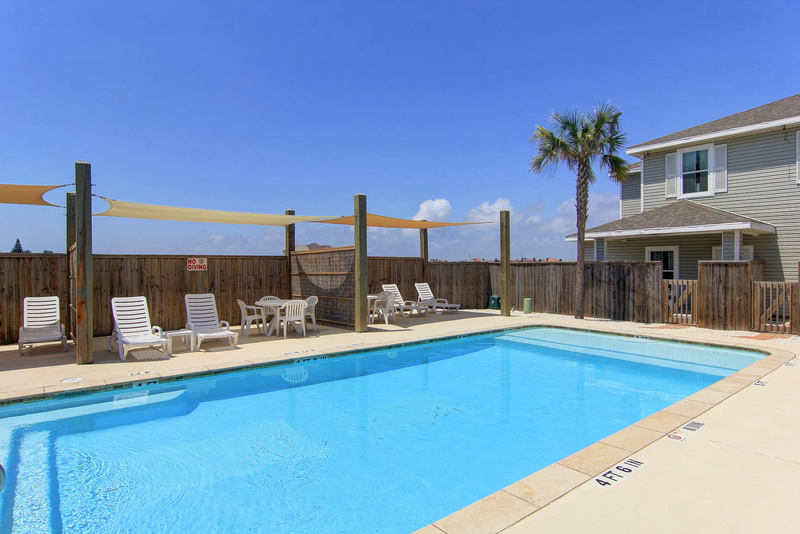 Our kids love the pool and the close proximity to the ocean. The kitchen was stocked with the essential tools when we stayed in and cooked meals. We'll be back again! Our vacation was excellent and everyone had such a great time. 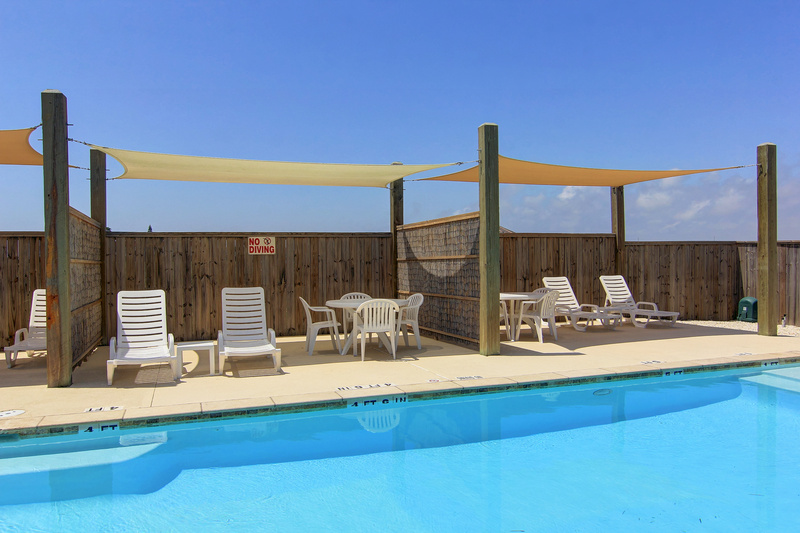 We loved the ease of accessing the unit, the pool was very nice, and the townhouses were spacious and contained all the amenities needed for a great vacation. Thank you, Padre Escapes. Our vacation rental was absolutely amazing!! The rental was exactly what it was described to be, and the price was right on for all it had to offer and some. Corpus and Padre Island were under a oils notice and the provided plenty of bottled water. I have no complaints about the rental. I would definitely recommend this place and will most definitely be staying there again! The townhouse was very clean and comfortable. It had everything we needed for a quick get-away. The beach is close by, clean and family friendly. The area is not as commercialized as other beach destinations. There are several locally owned restaurants with great food. We look forward to reserving a week in 2016! We look forward to having you back! Booking a place online that you've never seen in person is always scary when your spending that much money, but I was thrilled. The location was perfect. It was close to all the necessities and great restaurants. Very, very near the beach and a short drive from everywhere you want to go. The house was modern, clean and well-stocked for a stay. Everything worked, and I had not a single complaint. It went beyond my expectations. The folks from Padre Escapes were wonderful and easy to work with. They made the experience all that much more enjoyable. I took my parents this time, and we're going to definitely do it again. I will recommend it to all of my friends. This property that we stayed in was exactly what the description said. It was clean and nice and within walking distance to the beach...which was a plus. My family and I enjoyed it very much. The ONLY negative thing I can say is that when we arrived at our townhouse, we had a family of ants live with us while we were there. I guess all that rain brought them in. Other than that, we loved our stay there and would definitely go back again! Our unit was super clean and very nice. Close to the beach and the pool was fun for the little one. I would definitely stay there again. Great experience. Clean and well equipped townhouse. Loved having king beds in all rooms for our occasional guests. Pool area was wonderful and quiet. Short walk to the beach. Plenty of dining/happy hour options. Will definitely consider coming back. Property was described accurately. Having the washer and dryer was a nice touch. The fact that we were able to take our two miniature schnauzers was a big plus. Copyright © 2019 Padre Escapes. All Rights Reserved.